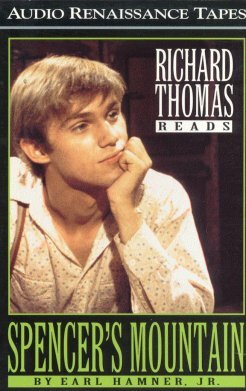 From the Audio Renaissance Tapes, Richard Thomas reads Spencer's Mountain, a novel by Earl Hamner, Jr. Richard Thomas, a veteran of 35 years in entertainment, is one of America's most highly-gifted, versatile, and respected actors. "Girls who skip breakfast as a matter of course will end up marrying a dog or a horse." As Erin and Mary Ellen rush off to work at Pickett's (and do not eat breakfast), Rose directs her concern over them skipping breakfast. The (unknown) s?/e?? "Well, now, that’s just the ticket." What Rose says, in many episodes, in a tone as if she’s now solved whatever problem is being faced The (unknown) s?/e? ?